Administrative Law Judge (ALJ) Stella L. Owens-Murrell, Office of Administrative Hearings, Special Education Division (OAH), heard the above-captioned matter in Bakersfield, California on November 13, 2006. Petitioner Panama – Buena Vista Union School District (District) was represented by Kathleen R. LaMay, Esq., of School’s Legal Service. Ms. Janis Spinozzi, director of special education, also appeared on behalf of the District. Respondent Student (Student) did not appear, nor did any attorney or representative on Student’s behalf, at the hearing. District’s Due Process Complaint/Due Process Hearing Request was filed on October 13, 2006. The District waived mediation and requested the case proceed directly to due process hearing. OAH served a notice of due process hearing and mediation on Student’s parents on October 16, 2006. Student’s parents did not respond to the notice nor did Student’s parents file a notice of representation. The ALJ opened the record on November 13, 2006, and received testimony and evidence.The hearing concluded the same day. The record remained open to permit the District to submit written closing argument on or before December 15, 2006, which District timely submitted. District’s closing argument is identified as exhibit O. The record was closed and the matter submitted for decision on December 15, 2006. I. May the District reassess Student pursuant to the August 29, 2006, assessment plan? II. Is District entitled to an order compelling Student to participate in the assessment? District contends that it has attempted to reassess Student since his parents reenrolled him in the District in August of 2006 for the 2006-2007 school year. 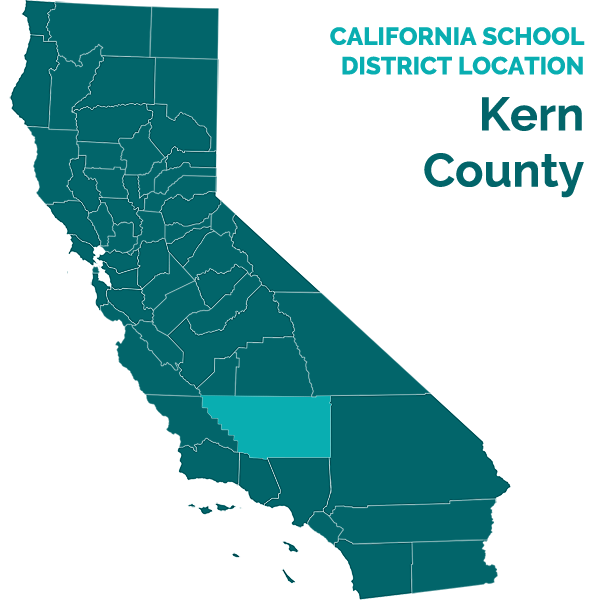 District maintains that a reassessment is warranted because Student reenrolled in the District and requested the continued provision of special education services. In addition Student was due for his triennial assessment in October 2006. Parent agreed to the assessment plan but have failed and refused to produce Student to participate in the District assessment, and Student has not attended school. District also sought parents’ agreement to an Individualized Education Program (IEP) for Student. District asserts that Student’s parents have not cooperated in the assessment plan nor have parents responded to District’s request to discuss Student’s status. Student’s contentions concerning the appropriateness of the assessment plan and the scheduled assessments is unknown because Student’s parents did not submit a written statement of their position in this case and did not participate in the due process hearing. District seeks a determination that District has the right or obligation to assess Student. District seeks an order compelling Student’s attendance at the assessment. 1. Student is 13 years old and lives with his parents within the boundaries of the District. Student attended Stine Elementary School (Stine) in the District for a part of the fifth grade in the 2004-2005 school year. Student attended the Valley Oaks Charter School during a portion of the 2005-2006 school year. Student reenrolled in the District at O. J. Actis Junior High School (Actis) for the 2006-2007 school year. It is undisputed that Student is eligible for special education services. 1 The District also raised the issue of whether the District is required to file a notice of due process complaint when a Student is removed from his educational placement by his parent and Student is not withdrawn from enrollment in the District. District raised this issue in its due process hearing complaint and requested a ruling on this issue in its written closing argument. District argues there is a need for a determination of its rights based upon an alleged pattern and practice of conduct by an advocacy group that purportedly represented Student in this case. This issue, as stated, calls for an advisory opinion, which goes beyond the scope of the administrative adjudicatory process under the Individuals with Disabilities in Education Act (IDEA) and will not be addressed in this decision. 2. Under the IDEA, a reassessment of a student shall be conducted if the district determines that the educational or related services needs, including improved academic achievement and functional performance of the student, warrant a reassessment or if the pupil’s parents or teacher requests a reassessment. A reassessment shall occur at least once every three years, unless the district and parent agree, in writing, that a reassessment is unnecessary. 3. Student was last assessed for special education services on October 2, 2003. Student’s triennial assessment was due no later than October 2, 2006. 4. On August 8, 2006, Student’s mother signed a 30-day placement approval in which she requested Student’s placement in the District as a special education student and the provision of Designated Instruction and Services (DIS), pending the convening of an IEP meeting within 30 days. 5. On August 17, 2006, Student’s parents completed an enrollment form requesting Student’s enrollment in the District. Student was placed at Actis. 6. The first day of school for the 2006-2007 school year was August 21, 2006. Student did not attend school and has not attended classes at Actis to date. 7. District convened an IEP meeting on August 29, 2006. Student’s parents attended on his behalf. The District determined that Student needed to be reassessed before the IEP team could determine appropriate placement and services. District presented an assessment plan to which Student’s parents consented in writing. The assessment plan listed Student’s suspected disability as “Learning Disability, Autism (Asperger’s).” The assessment plan also included a checklist to assess Student in areas of academic/pre- academic achievement, social/adaptive behavior, psycho-motor development, language, speech and communication development, intellectual development, vocational, health/medical assessment. The plan also contemplated a review of Student’s January 2005 IEP goals and objectives developed by District while Student was attending Stine. The IEP team agreed to discontinue the IEP meeting pending completion of the assessments. 8. The first date Student was required to be produced for an assessment was on September 18, 2006, for his psychological assessment at the District’s special services center. Student did not appear nor did Student’s parents contact District to cancel or reschedule the assessment. 9. Student failed to appear for any of the scheduled assessments and has not completed the assessment process. 10. Student has not attended classes at Actis and his parents have not withdrawn Student from enrollment in the District. 11. Student’s parents have not responded to District’s requests to contact them following Student’s failure to appear at the scheduled assessments. 12. Based upon Student’s parents’ request for special education services, the impending triennial assessment date, and the fact that Student was reenrolled in the District, theDistrict was required to conduct a reassessment. 13. District has a continuing obligation to seek out and determine if Student was a child with a disability entitling him to a FAPE. District was required to develop an assessment plan to satisfy its statutory obligation. District’s assessment plan addressed the District’s responsibility to assess Student. 14. Pursuant to the IDEA, informed parental consent need not be obtained for the reassessment of an individual with exceptional needs if the district can demonstrate that it has taken reasonable measures to obtain that consent and the child’s parent has failed to respond.If a parent refuses to provide consent for a district assessment, the district can request a due process hearing to obtain an order overriding parents’ refusal to consent. 15. Parents did not appear at the due process hearing on November 13, 2006, but parents were properly and timely served with notice of due process hearing and mediation. 16. There is no dispute that Student is an individual with exceptional needs. Factual Findings 3 through 13 established that Student requested special education services and the District was required to conduct Student’s triennial assessment. Student’s parents refused to produce Student to participate in the assessments. District initially obtained parental consent to the assessment plan and assessment schedule. District took reasonable measures to obtain Student’s parents’ cooperation in proceeding with the administration of the assessment plan. 17. District is entitled to assess Student and Student’s parents must make Student available for the assessments in order to avail themselves of the rights and benefits afforded Student under the IDEA. Issue I. May the District reassess Student pursuant to the August 29, 2006 assessment plan ? 8. Based upon Factual Findings 3 through 13 and Legal Conclusions 3 through 7, the District was required to reassess Student. Issue II. Is District entitled to an order compelling Student to participate in the assessment? 9. Student’s parents requested special education services and initially consented to the assessment plan. Inexplicably, parents refused to participate in the assessments and further failed and refused to respond to District’s inquiries concerning the matter. There is no dispute that a reassessment was required and that District had a statutory obligation to obtain the assessment in order to determine the nature and extent of Student’s right to a FAPE. The IDEA expressly provides that in the event of a reassessment District may take steps to secure Student’s parents’ cooperation in obtaining the necessary assessments. Here, the IDEA confers upon the District the option to initiate a due process hearing to override a parent or guardian’s refusal to consent to an assessment. 10. The District cited in its closing argument to cases out of the 8th and 2nd Circuits, S.F. v. Camdenton R-III School District (8th Cir. 2006) 439 F.3d 773 and Dubois v. Connecticut State Board of Education , (2nd Cir. 1983), 727 F.2d 44, 49, in support of District’s argument that absent a waiver of benefits and rights afforded under the IDEA parents must comply with a lawful order requiring Student to submit to District’s request for an assessment. These cases do not support Districts arguments, are inapposite and are distinguishable from facts in this case. In S.F. v. Camdenton R-III School District, Supra, the school district sought to compel the assessments of a student whose parents had him home-schooled. The court ruled that parents were not required to submit to the school district’s assessment process since the student was privately schooled. Dubois v. Connecticut State Board of Education, Supra, concerned a procedural issue of failure to exhaust administrative remedies, not raised in this case, and does not support District’s position that they may compel Student’s parents to participate in the assessment process. 11. The ALJ relies on the case of Wesley Andress v. Cleveland Independent School District (5th Cir. 1995) 64 F.3d 176, 178 for a determination of this issue. In that case, on facts similar to the matter now being decided, the parents enrolled their child in the school district and requested special education services. The District proceeded to schedule a triennial reevaluation of student. The parents wished to proceed with their own evaluators to which the District objected and parents refused to produce the child for the District reevaluation. On appeal from a lower court ruling denying District’s unfettered right to obtain a reevaluation the Court held that a handicapped student must be reevaluated every three years to determine his continuing eligibility for special education under IDEA. A parent who desires for her child to receive special education must allow the school district to reevaluate the child using its own personnel; there is no exception to this rule. The Court further held that the child’s parent’s refusal to allow the school district to reevaluate him resulted in his non eligibility for special education services from the date his reevaluation was due. Similarly, Student’s parents risk the District taking the same position in the present case if parents elect not to produce him to enable District to conduct the agreed upon assessments. 12. Based upon Factual Findings 3 through 13 and 15 through 17 and Legal Conclusion 2 through 7, District may not compel Student to submit to the assessments but is entitled to conduct a reassessment of Student pursuant to the following order. 1. The District is entitled to reassess Student pursuant to the mutually agreed upon assessment plan between Student’s parents and the District. 2. If Student’s parents wish to avail themselves of special education services from the District, Student’s parents must make Student available for reassessment by District within a reasonable period of time, but no later than 30 days following issuance of this Order.